Separation of church and state is meant to prevent the government from supporting a particular religious institution and persecuting others (as was common in Europe historically). The mere support for religious institutions in general is not inappropriate. The redistribution of taxable funds that are gifted to the institution and spent on a minority would otherwise have been used for the common good with protections against discrimination. In some cases it certainly is inappropriate. If an atheist were denied a job because he were not religious, this would be legitimate by this argument because no particular religion was supported or denied. 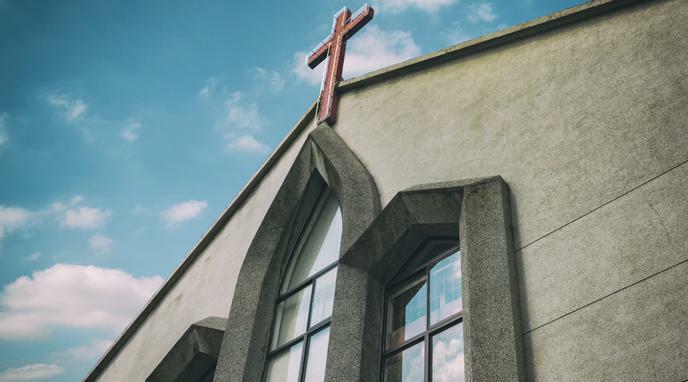 The Establishment Clause provides for state support of no religion, and this includes tax favoritism and is intended to protect the religious and the non-religious equally.